Samuel Johnson’s 1836 dictionary defined “museums” as “repositories of curiosities.” Britain’s tradition of public museums began when John Tradescant (1570-1638) was sent overseas to Europe and North Africa to look for such new plants as apricots, lilac, and acacia. Along with the plants, he brought back other rarities. Any member of the public could marvel at Tradescant’s “Closet of Rarities”—on payment of a fee, determined by the length of their visit. His home in Lambeth was nicknamed the “Ark.” His collection eventually became the original collection that enabled Oxford’s Ashmolean Museum to start. Previously, private collections of rare and intriguing artifacts had been accumulated by the wealthy and powerful, such as the Medicis and Emperor Rudolf II in Prague. The curiosity of the elite for the rare and exotic had begun in the Renaissance, was re-energized during the Enlightenment and enabled by explorers and the growth of trade from the 16th century onwards. 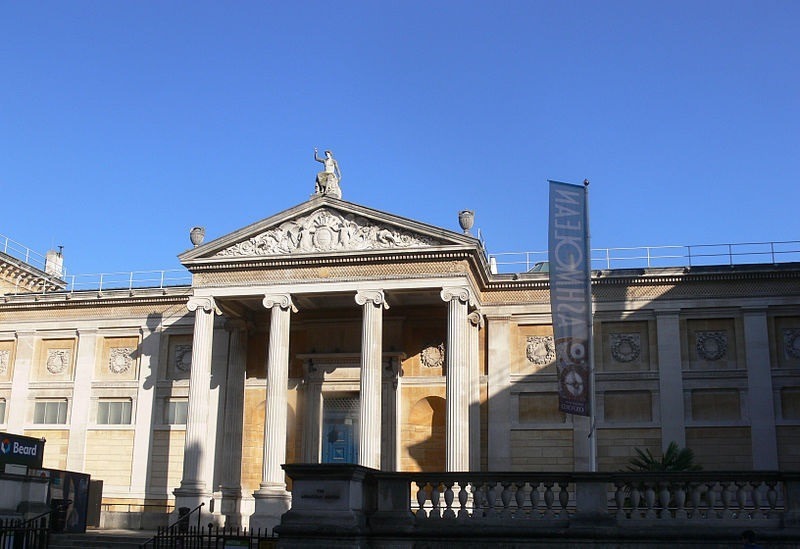 The Ashmolean became Britain’s first public museum in 1683 and is the oldest surviving purpose-built museum in the world. Britain’s first public art museum was the result of fundraising, not for the arts, but for a children’s hospital. The trustees of the Foundling Hospital included Georg Frederick Handel and William Hogarth. Faced with the hospital’s increasing costs, the trustees sought support from colleagues in the arts. Pictures donated by artists such as Thomas Gainsborough and Joshua Reynolds were hung in the hospitals “picture room,” which became a source of hospital revenue, thanks to donations from wealthy art connoisseurs. Today, the Museums Association estimates there are about 2,500 museums and art galleries in the UK, depending on what you include. These can be categorized as national museums, funded by the national government; local authority museums, funded by cities and towns; university museums, run by universities (as the name suggests); and independent museums, usually run as nonprofits. To these, you can add historic properties and heritage sites run by government heritage bodies and National Trust properties owned and run by the National Trust, an independent charity. Regimental museums and armories collate and preserve Britain’s military heritage and are often managed by the armed services. England’s unoccupied royal palaces are run by Historic Royal Palaces, an independent charity. In 2001 the UK Labour Government introduced a free admissions policy for national museums, which has continued to apply, though they may still charge for temporary exhibitions. Almost all university museums and a large number of local authority museums also operate a free admissions policy. Most but not all independent museums charge an entry fee. Several years of significant cuts in government funding to local governments and to government-funded cultural institutions, including those that run the national and heritage museums, have had an impact on the museums sector. The Museums Association surveyed cuts to museums from 2011 to 2014. In 2014, they found that 43 percent of museums experienced a budget cut of more than 10 percent in the previous year, and one in ten had reduced access to venues by closing in whole or in part. The 2014 Cuts Survey also found that one in 10 respondents had considered selling parts of their collections to raise money in the past year. However, as the Financial Times reported in May, public anger was sparked by Northampton Museum’s 2014 sale of its ancient Egyptian statue, Sekhemka, for £15m, and Croydon council’s disposal in 2013 of a collection of rare Chinese ceramics. News that York Art Gallery wants to charge local residents and tourists a £7.50 ($12) entrance fee, when it reopens this week after a two-and-a-half-year redevelopment, is likely to rekindle public argument. The York Art Gallery is an independent museum managed by nonprofit foundation, albeit receiving city funding. This news follows a prominent local authority museum, Brighton Museum and Art Gallery charging a £5 ($8) entry from May this year. The Brighton museum although remains free for Brighton residents. Debates about charging entry were taking place “behind closed doors” across the nation, reports the Guardian. The Guardian quotes John Orna-Ornstein, director of museums at Arts Council England, the English government arts funding agency, who says many local authority funded museums had already cut staffing, public programs and opening hours. “We are not far from a tipping point where they have to make quite difficult decisions,” he says. However, Janet Barnes, director of the York Museums Trust, which runs the York Art Gallery and three other venues, says, “The art gallery is now a bigger place, it will require more energy, more staff to invigilate it and run it, so we have to bridge that gap.” The gallery is now 60 percent bigger after fundraising £8 million ($12.5 million) for its expansion. Public visits to museums and galleries have reached an all-time high since records began, according to the Museums Association. The proportion of the UK population who visited a museum or gallery reached 52 percent in 2012/13—a significant increase from 42 percent in 2005/06. Some economists might see this as a signal of demand that should encourage increased pricing. Others might read this as a sign that the increasing cost of other forms of leisure activity are forcing families to seek free entertainments. The Independent offers a cautionary tale: Poole Museum visitor numbers dropped 75 per cent after it scrapped free entry.